Expert traders have developed these courses to provide help to both beginner and advanced traders. Download the free collection of training materials, e-books, and activate your E-Learning System! This book contains the essential information and knowledge for trading. How much does it cost? It can be yours for free! 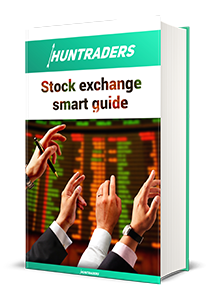 The “Stock exchange smart guide” book summarises everything a beginner must know. The basic definitions and instruments are explained in this book. Readers also learn about stock and option trading and the professional language used in the business. It is taught how to use different tools for analysis. Furthermore, market, profitability, efficiency, leverage, and liquidity ratios are introduced. 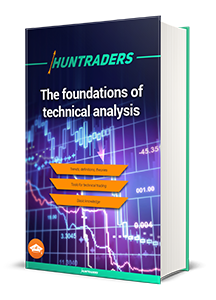 The technical analysis part includes an overview of charts, trends, channels, candlesticks, indicators, chart formations, cycles, and gaps. 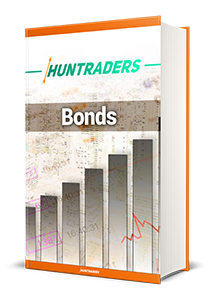 Basic definitions related to bond trading are explained in a separate chapter. The book is 92 pages long. If you are planning to start trading, then this book is perfect for you! The knowledge of indicators is essential in the 21st century for trading! Now we will provide you the basic knowledge you need for confident trading! The “Indicators” book contains 25 indicators categorised. It is mandatory for those who want to prepare analyses. Every indicator is illustrated in colourful and real examples. The book contains the trading signals of the most important indicators and the interpretations of divergences between indicators and the share price. The interactive table of contents helps to navigate easily between the indicators. The book is 100 pages long. 25 indicators. Find the indicator that fits your strategy and learn its trading signals through examples. Small, colourful candles? They might help you to buy your dream house! This book tells you how! The “Candlesticks” book includes 88 candlestick formations. It is inevitable for those who want to make decisions based on candlestick patterns. The book makes it easy to navigate between the different categories and the individual patterns. Every candlestick formation comes with a description and its criteria and interpretation are also included. The interactive table of contents helps to navigate easily between the candlestick formations. The book is 93 pages long. 88 candlestick formations. 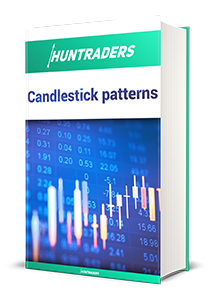 Earn larger profits by recognising candlestick patterns and analysing the market based on those. You can have the experience of 10 years trading for free! This book contains the use of chart patterns. 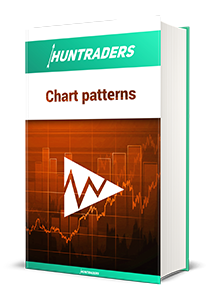 The “Chart patterns” book includes 31 chart formations and their main categories. The formations are used by professional traders as well, because they provide safe information about the future behaviour of shares. The book teaches how to recognise the chart patterns, how to interpret it with volume data, in what time horizon to plan, and how to calculate target price. The interactive table of contents helps to navigate easily between the formations. The book is 57 pages long. 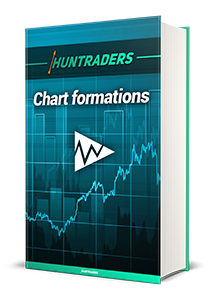 31 chart formations. Recognise triangles, breakout points, and calculate the target prices. Please register to download the free E-book! Are you interested in option trading? It can be yours for free! The “Options” book gives an in-depth description for exotic products and 49 strategies developed from these products. The first part of the book teaches how option contracts work and how options are priced. The following terms are explained in the book: the Greeks, volatility, Daily Volume, Open Interest, and Put/Call ratio. The second part of the book contains the 49 basic and complex option strategies illustrated with examples. The interactive table of contents helps to navigate easily between the strategies. The book is 148 pages long. 49 option strategies. Apply the strategy which is the best fit for you and learn how to calculate risk and profit through examples. The “Bonds” book shows how bonds markets developed and the development level of several country’s bond market is compared. The main parameters of bond contracts, the main bond types, and bond pricing is introduced. Bonds are important parts of our portfolios. Therefore, it is important to pay attention to risks related to bonds which is included in the lecture. The second part of the book teaches things like “what to ask from the broker”, “at what price to sell the bonds”, or “how to find a bond fund that suits us”. At the end of the book 10 common mistakes of bond trading is also taught. The book is 61 pages long. If you are eager to earn returns and you’re avoiding risk, this book is a must read for you! 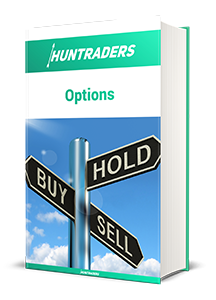 Includes the trading history of a whole year, the analysis of the trades, and the option strategies on the shares. 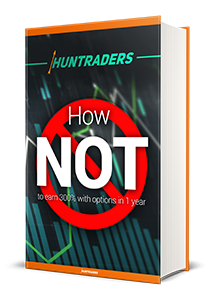 The “How NOT to earn 300% with options in 1 year” book analyses our own option trading from month to month. The historical data is from March 2012 and April 2013. We were focusing mainly on market neutral positions apart from a few Vertical Spreads. Instead of hunting for share price changes we went for option premiums. We were taking risks several times: we traded on quick reports and decided on high implied volatility - we applied a Short Strangle instead of Iron Condor. The book includes the full account history. Our goal is to show you the potential in option writing, but also to raise awareness to avoid high risks. The book is 242 pages long. Examine real trading examples and use it for your own trading. It is inevitable to always have a collection of professionally used expressions at our disposal. 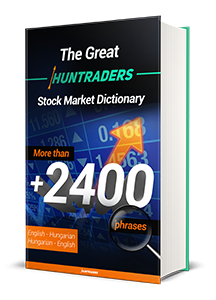 Huntraders have an electronic English-Hungarian-Germen dictionary, which contains more than 2,400 definitions related to stock exchange and forex trading in those languages. It an easy to use E-book with a quick-search. The dictionary helps to understand websites of brokerages, foreign trading platforms, company analyses, charting, and even to open accounts. The book is 143 pages long. The dictionary contains approximately 2,400 expressions and abbreviations in investments and economics. Start Your successful trading career, start learning quickly and effectively. 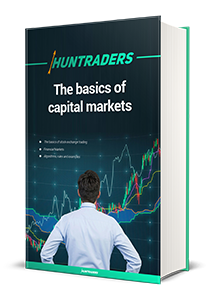 The Huntraders books and guides summarise more than 10 years of trading experience and contain inevitable knowledge for beginners and professionals to turn investments profitable! You don’t know how to start your trading career? You don’t want to waste your time with Demo accounts? You are afraid to risk your savings? 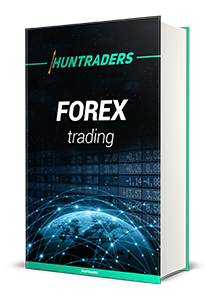 The free Huntraders trading course will help You to start trading with confidence.! Advices and tips which are only available for experienced traders! These books will teach you everything if you are planning to start trading now. Have you just started learning about trading? We can help! It is inevitable to learn the basics before starting to trade on the stock exchange. The “Basics of capital markets” lecture teaches the attributes of money, capital, and securities markets. The presentation includes the following topics: the development of stock exchanges, the order book, stock exchange trading processes, and the elements of orders. The presentation contains 21 slides. It is mandatory for every trader! Learn the basics of how different markets work in the exciting world of stock exchanges. Do you trust numbers more than news? Then this presentation has been prepared just for you! It is important to understand the basics precisely to start trading on the stock exchange. Technical analysis cannot determine the fair value of financial instruments. Instead, it is looking for market conditions where the future price movements are highly predictable. This lecture contains the following topics: the basics of technical analysis, the Dow theory, recognising trends, drawing trendlines, using support and resistance levels and their significance, channel lines, correction levels, and market gaps. The Elliott wave theory is included in the second part of the chapter with a step-by-step guidance for the technical analysis. The presentation contains 97 slides. Cryptocurrencies? Tech-shares? This lecture is for You! Recognise trends, correction levels, and earn larger profits! Would you like to understand how to use candlesticks? We will show you how to use them for your investments and how to earn money with them! Observing candlesticks can help to make good decisions when opening and closing positions. The lecture describes the origins, the role, and the illustration of candlesticks. Different illustration techniques are introduced, such as the Heikin-Ashi or the CandlePower. 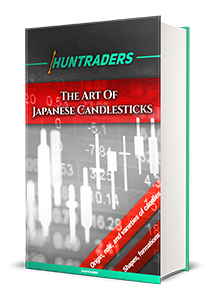 The chapter contains 88 candlestick formations shown in categories with their most important attributes and criteria for recognition. Every single candle formation example belongs to a real. The presentation contains 160 slides. Better results, bigger profits? Yes! With the help of the lecture of candlestick patterns! This is an essential lecture in the world of cryptocurrencies. Indicators are numerical sequences derived from mathematical formulas applied on the instrument’s price movements. 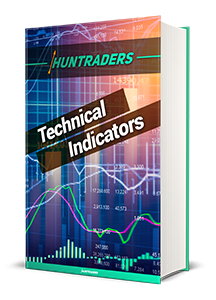 Technical indicators examine price movements from different aspects. The presentation emphasises the basics of the indicators and the preparation of investment decisions based on the indicators. Furthermore, divergences and their early and correct recognition are introduced. It is also shown how to draw them. 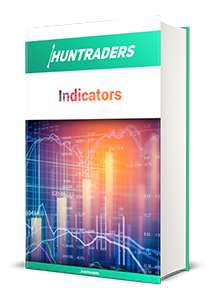 The material contains 25 detailed indicator examples with theoretical descriptions and with the interpretation of their trading signals used in practice. The presentation contains 183 slides. The recipe of larger profits! Increase the ratio of successful deals by correctly interpreting trading signals of indicators! This book is mandatory for successful trading! Save money on special courses and apply chart patterns for a more secure analysis and trading. The patterns are reliable from a trading point of view and can provide information about the future behaviour of the share. This chapter teaches how to recognise different formations and in what time horizon it is worth to examine them. There are 31 chart patterns introduced in the chapter, describing the specific parameters, the trading volume, and the calculation of the target price. There are real examples shown for every formation. The presentation contains 150 slides. The mandatory book of technical analysts! Save money on courses and make sure you learn the essentials here! Don’t you mind risking more to earn more? Then this book is mandatory for you! This lecture is looking for the answers to the following questions: why, where, when, and how. The most important thing is to learn that not earning profit is the ultimate goal but to keep the initial capital. After assessing the market, the opportunities, and our risk appetite, we must decide what percentage of our money we would like to risk on one trade. How much should be risked on one position? Nowadays traders trying to gain profit on the stock exchange are more exposed to risks than before. Everyone knows that it is possible to lose money on the equity market. On a recessing market a profit maximising strategy can change to a loss minimizing strategy. This presentation describes the different management techniques. Furthermore, the different profit maximizing and risk minimizing strategies are shown through real examples. The presentation contains 53 slides. Maximize your profits and minimize your losses with different management techniques! Are You interested in options, but you don’t know where to start? We will teach you to earn profit with option strategies! This presentation contains all necessary information that you need for option trading. Options are one of the most complex instruments which makes them one of the financial products with the best risk/return ratio. When trading with options, the deal is not primarily about the option itself but the right to sell/buy the underlying product. Researchers says that with the combination of basic options every market situation can be modelled, and profit can be generated (even when there is a large pullback or a slow sideways movement). Options may seem complex first, but they are more flexible than other products. An insurance can be bought on shares, we can gain extra income, and it is possible to generate profit without knowing the direction of the share. Option trading can quantify the probability of our investment to reach breakeven. 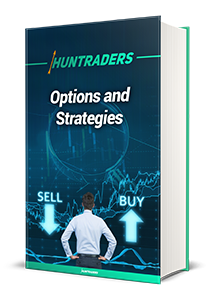 The lecture summarises the history of options and introduces the readers to the world of options through live examples. The first part of the lecture is about the risks and the professionally used definitions. The basic options are described while the factors influencing share price, their measurement, and their quantification are highlighted. Different hedging and arbitrage techniques are taught in this presentation, to show how to earn risk-free profit. This lecture provides knowledge that is available for really few people. The presentation contains 120 slides. Manage your risks on a professional level and get to know the different strategies. Protect yourself with options. The lexicon for beginner forex traders! Are you afraid of starting to trade? Are you still looking at your demo account? Are you afraid of taking risks that can generate large returns? Then this book is for you! This lecture includes the basic definitions of forex, the interpretation of economic indicators and their effect on the market. Furthermore, the different brokerage types and the trading mechanisms are described here. We would like to provide help to trade safely with detailed descriptions about the processes. The second part of the chapter summarises the most commonly used trading platforms and the opportunities and limits of automated trading are further elaborated. The presentation contains 118 slides. Are you interested in forex trading? This book can teach everything you need for safe and successful trading! Are you interested in trading, but don’t know where to learn it? Then this site was designed for you! Are you looking for predictable income and profit? We help you! 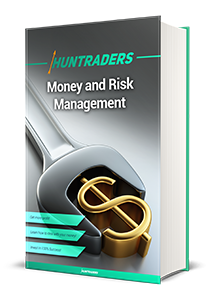 The Huntrader courses were designed for those who are eager to expand their expertise in using and successfully applying analysis methods, tools, and strategies. What will You get in the E-Learning package? Recognise the different correlations, understand the signals on the market, apply the indicators, and interpret the candlestick patterns like a professional! If You would like to earn millions this way, then the unique Trading Course are the perfect choice for You! as well as the online e-learning system.